Phil Bernstein (Autodesk), Benjamin Bratton (UCSD), Christina Cogdell (UCD), Teddy Cruz (UCSD), Peggy Deamer (Yale), Andrés Jaque (Office for Political Innovation), Laura Kurgan (Columbia), Neil Leach (USC, Los Angeles), Reinhold Martin (Columbia) & Patrik Schumacher (Zaha Hadid Architects, London). This two-day conference included a range of international experts from architectural practice and theory, and explored urgent questions that concern the social and political ramifications at stake in the evolution of computational design. Parametricism has been heralded as the new avant-garde in the fields of architecture and design—the next “grand style” in the history of architectural movements. Parametric models enable digital designers to create complex structures and environments, as well as new understandings of space, both real and virtual. Whether as tools for democratic action or tyrannical spectacle; self- and community-building capabilities; a post-humanistic subject; or the mediatized politics of our desired futurisms—all these themes are figured and being assembled within the Parametricist discourse. 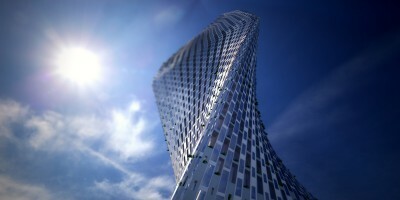 Image credit: Synthesis Design + Architecture, Xiamen Dream City Tower, 2011.